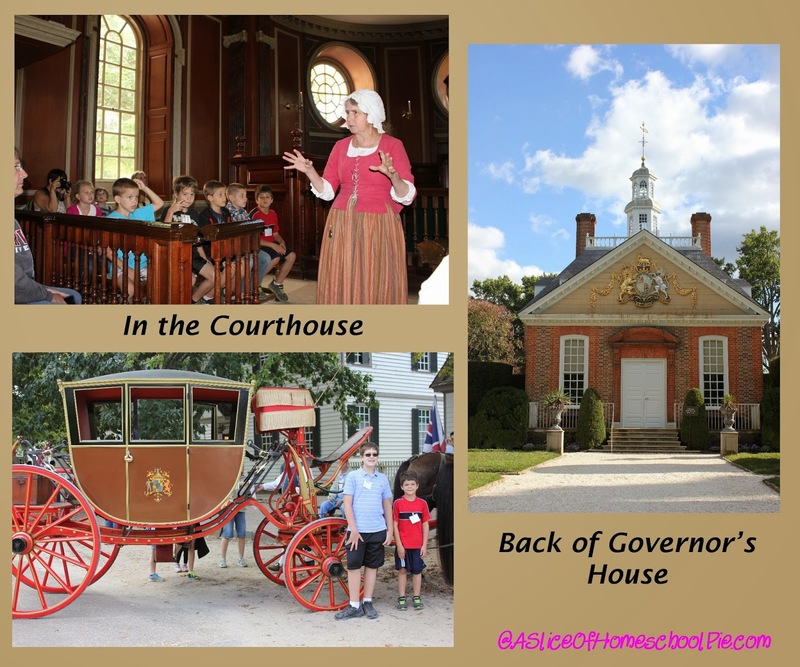 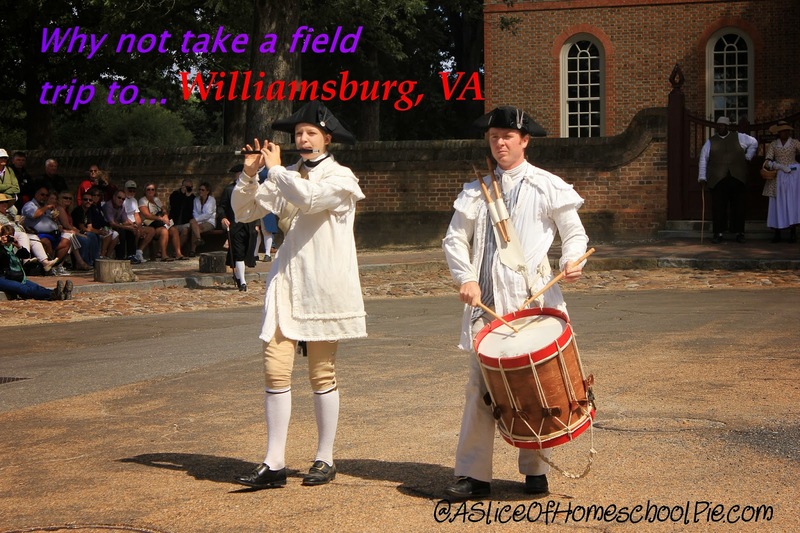 I believe it was earlier this year when I received an email with information about Homeschool Days in Williamsburg, VA. During this time they offered discounted rates to both Colonial Williamsburg and Jamestown. They also offered homeschool classes. When I received the email I forwarded it to our homeschool support group with a note that I thought it would be great if we could go to Williamsburg together. 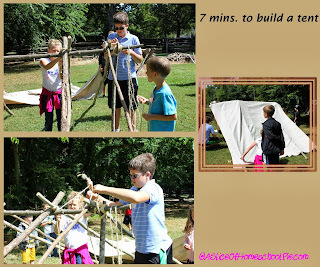 Several parents agreed and we made plans to go in September. 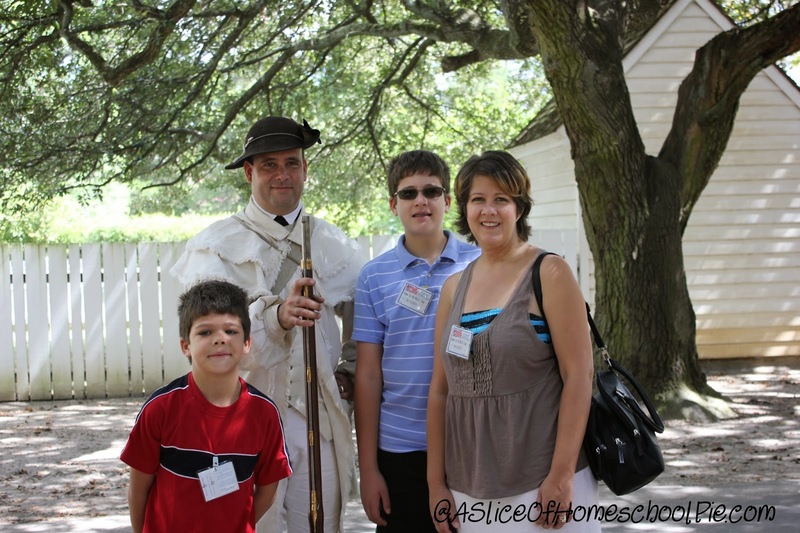 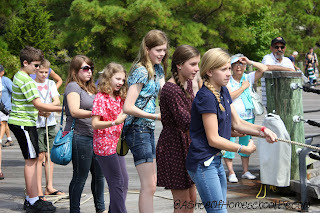 A total of seven families were able to experience Colonial Williamsburg and Jamestown together. 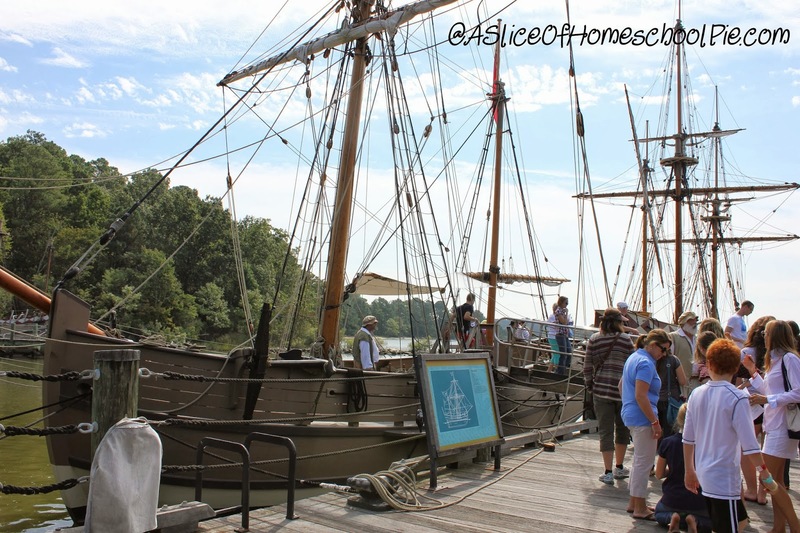 Our first stop was Jamestown. 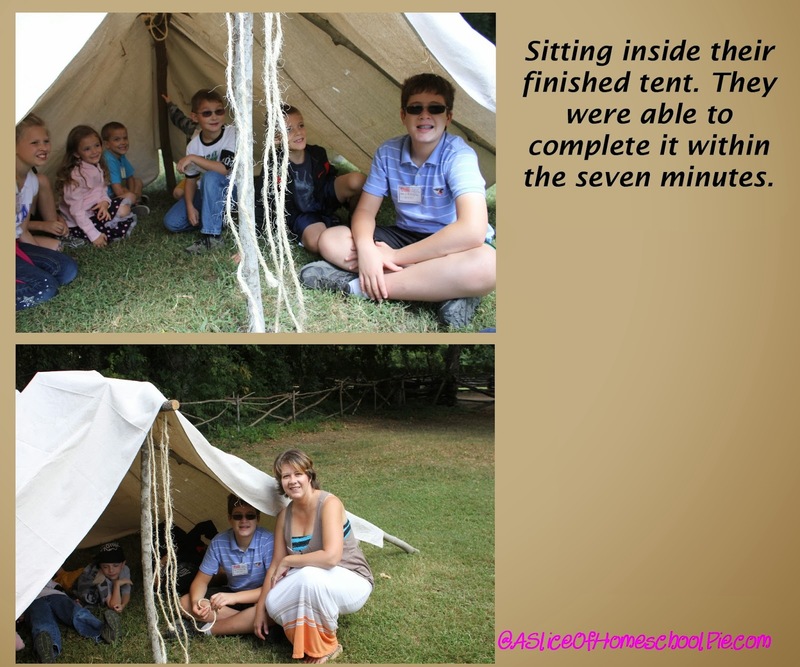 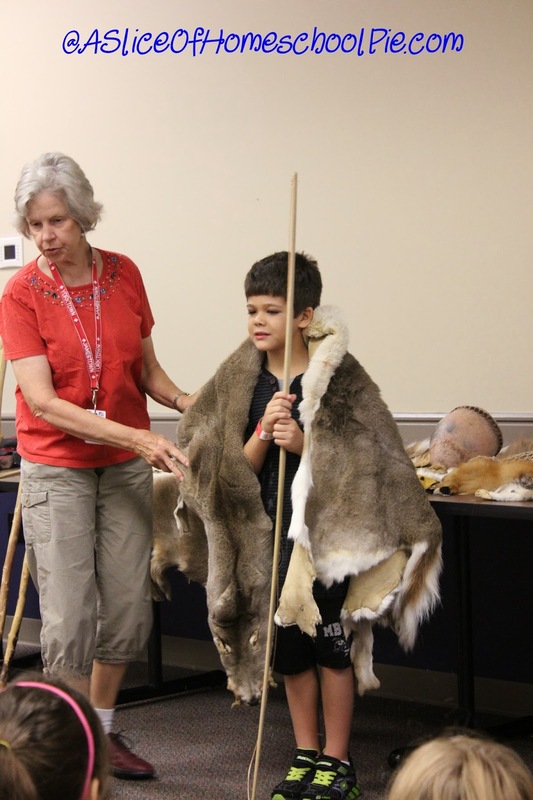 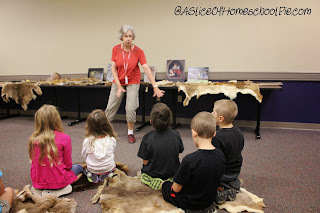 The younger children experienced classes such as Powhatan Indian World. The children were able to see some of the tools the Indians used and the clothing that they wore. 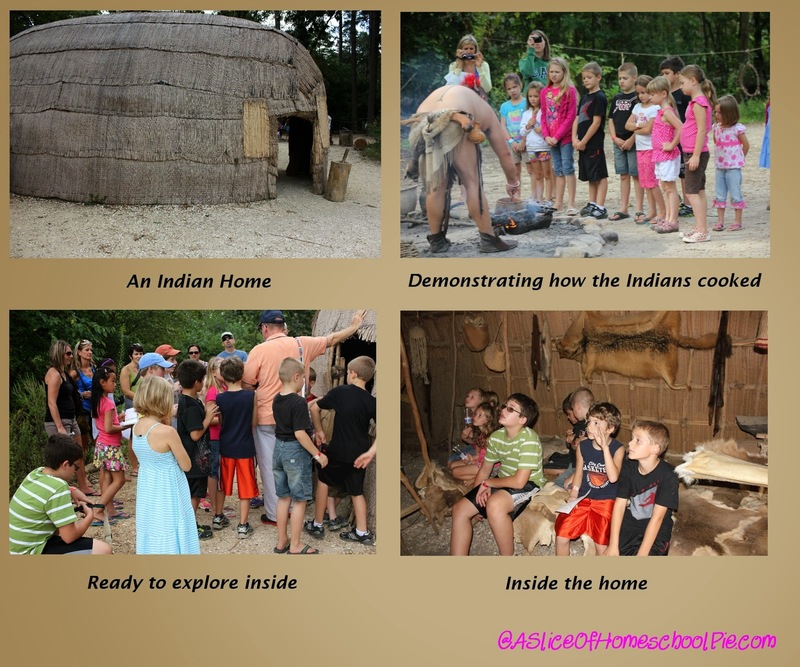 They also learned about the Powhatan Indian culture. 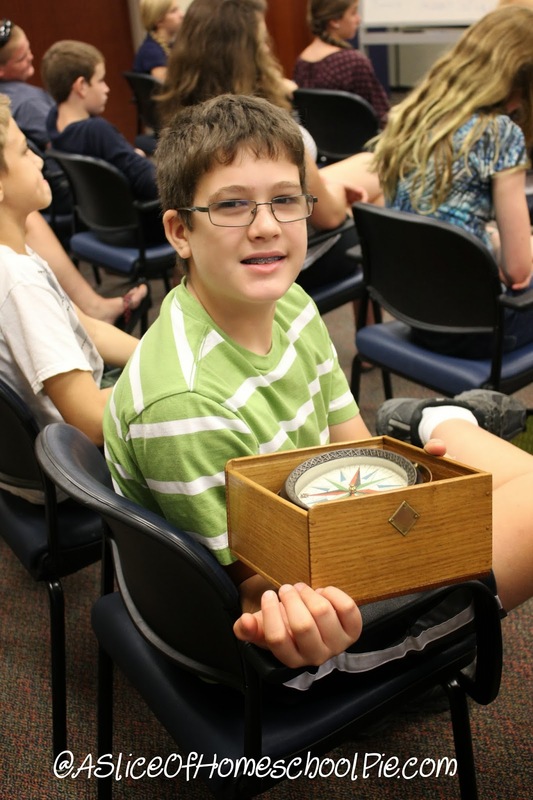 The older teens learned about navigational instruments and tools used on board the ships in the class titled Voyage to Virginia. 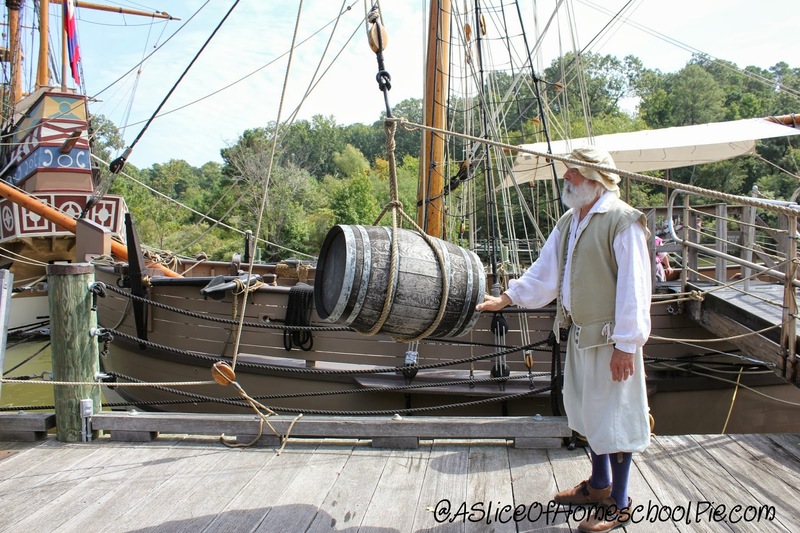 They also discovered what life on board a ship was like and what some of the crew workers' responsibilities were. 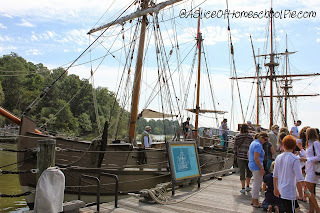 There was so much to see in Jamestown, from Indians to replicas of the ships from the 1600's. 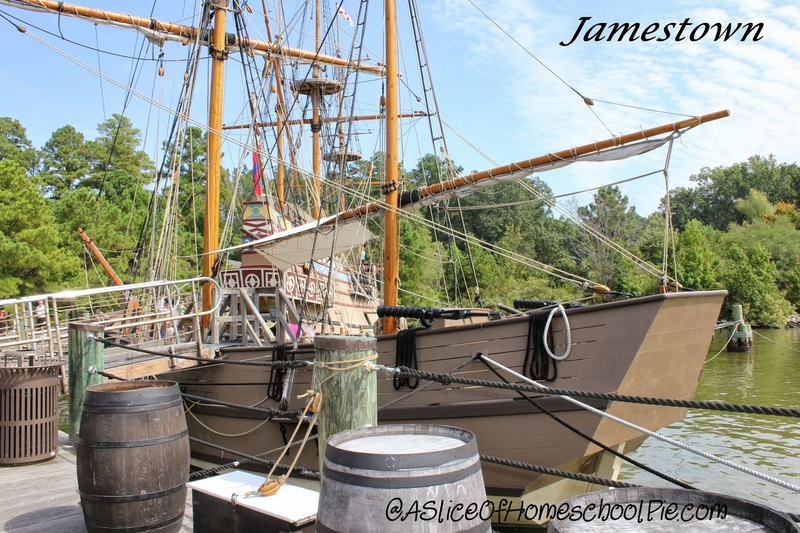 Jamestown was both my youngest son's and my favorite area. 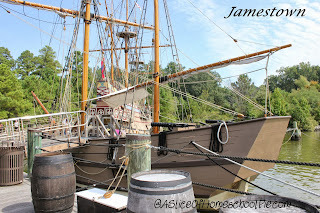 I love old ships! I would have loved to have seen these with their sails opened. Part of the Voyage to VA class - students experienced what it was like to have to haul things onto the ship. 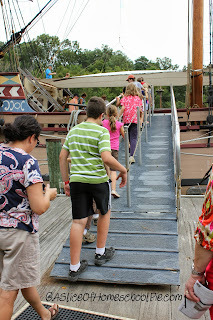 Time to board the ship. 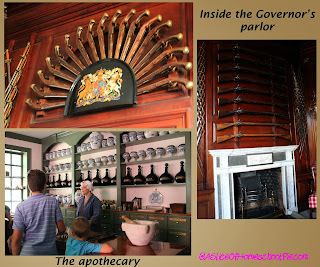 The next day we went to visit Colonial Williamsburg. 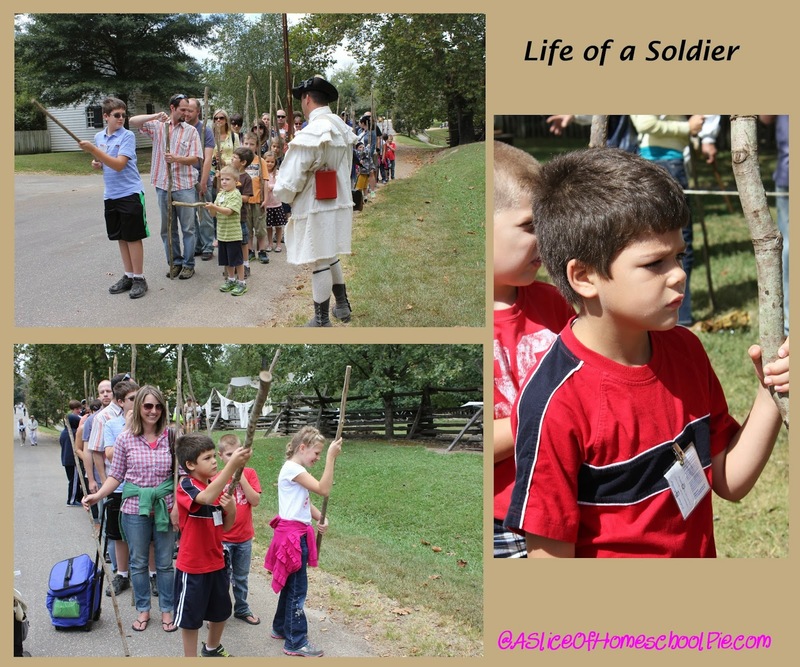 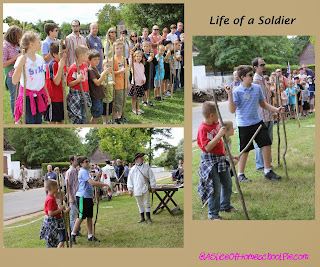 Here the children experienced Life of a Soldier. Consider taking a trip back in time to Colonial Williamsburg and Jamestown. 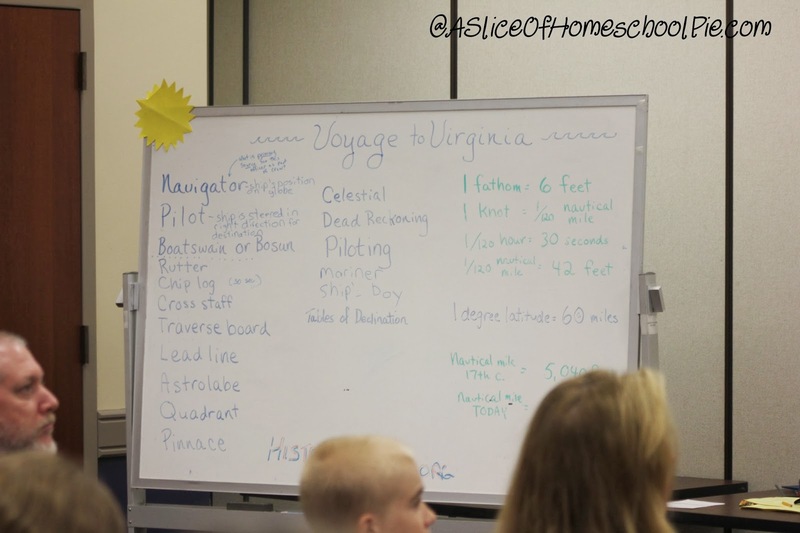 Your travels will be well worth it. If you have been there, which place was your favorite? 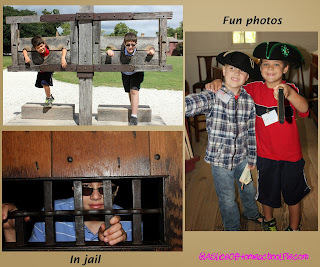 Go ahead and Pin or Share this post now.